It is the mid of November, and everything around us has been decorated for the coming holiday season. Among the Christmas decorations, a small display saying “November 1 – Black Tea Day” caught my eye. In Japan, November 1st is the day of black tea, which was established by Japan Tea Association in 1983. Why November 1st? A cup of tea keeps us warm on a chilly night or cold winter, but is that the reason? The fact is, this commemoration day came from an episode of Daikokuya Kodayu (1751-1828), who was a Japanese castaway. His ship encountered a storm and wrecked on the Aleutian Islands. After 4 years on the island, Daikokuya and his crew managed to escape to the Russian mainland. Eventually Catherine the Great allow them to return to Japan. During his stay in Russia, he was invited to her tea party and had a cup of tea. It was on November 1, 1791. That is the official record of who and when the first Japanese had a black tea. 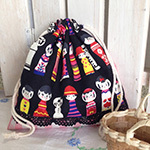 In the picture is a tea cozy which an embroidery crafter made with reference to a pattern from the embroidery design book issued in Russia in 1950s for elementary and junior high students. The original pattern was colored manuscript like a picture. 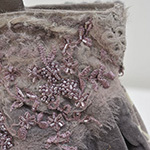 The bird on conifer was embroidered colorfully with satin stitch and long-and-short stitch. The red-stitched works from Arkhangelsk region are well known as Russian embroidery. 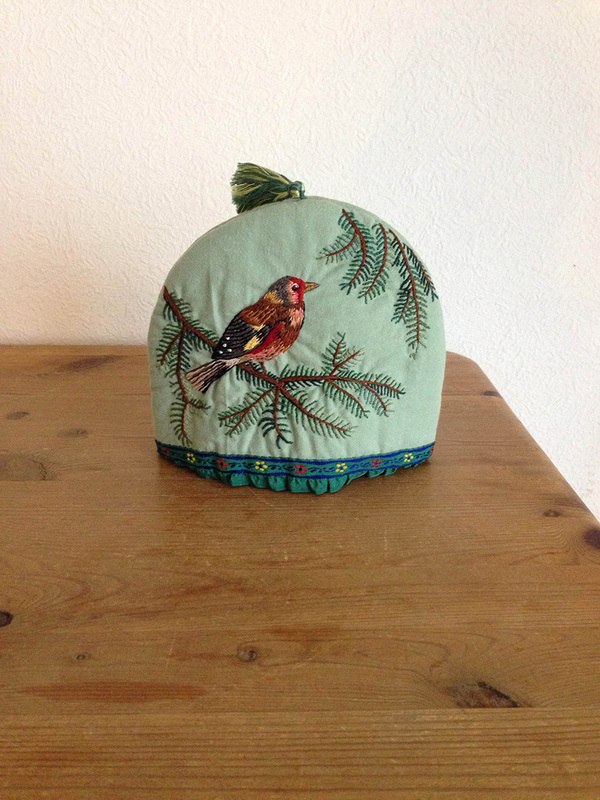 Like the bird on this tea cozy, nature motifs are frequently used for Russian embroidery. 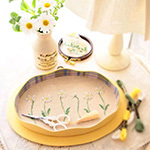 Summer plants such as clover, dandelion, red poppy and chamomile are also often picked as embroidery patterns. 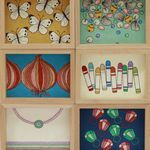 Perhaps Russian crafters love to depict their short but beautiful summer days by using those nature motifs. Though the day of black tea was passed, enjoy your crafting time with Russian tea containing marmalade.